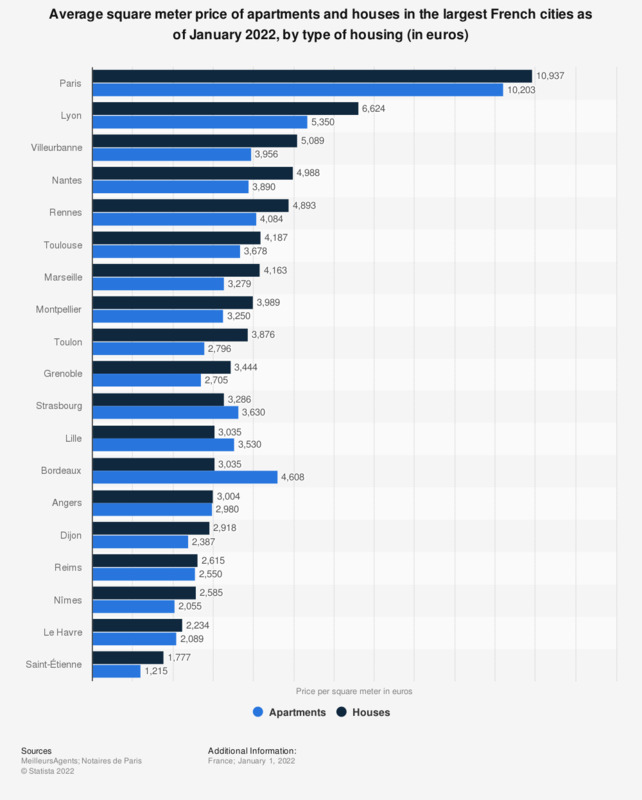 This statistic compares the average square meter price of houses in France as of August 2017 by type of housing. In Paris, the average square meter price of flats amounted to 8,823 euros per square meter while house price was estimated of 9,458 euros per square meter. . The source adds the following information: "Price estimates expressed as net seller (excluding agency fees and notaries). In Ile-de-France, prices are calculated by BestAgents based on the transactions of the BIEN base of the Notaries of Paris / Ile de France and from the last transactions reported by the real estate agency partners. Outside Ile-de-France, prices are calculated on the basis of the transaction data communicated by partner agencies, real estate ads and eco-socio-demographic data." On which market are you going to purchase real estate?